With each passing year, the film industry continues to evolve with the digital age, resulting in a loss of middle ground when it comes to movie releases. Many of the classics on Back Lot’s shelves boasted modest to middling budgets at the time of release, only to achieve their iconic status the hard way: through word of mouth and buzz that continued to build long after their initial run. Films used to arrive in theatres with very little advance advertising. Indeed, most of the kids in my neighborhood went to Alien in 1979 simply because of a 30 second teaser ad and rumors that you get to see a creature explode out of a guy’s stomach. Now, even watching trailers seems like a landmine, with most of them offering what amounts to a Coles’ Notes version of the film, complete with major plot points. It’s disheartening to see how few films get studio backing if they’re not already based on an existing franchise. Look at any list of the top grossing films of the year, and you’ll see mostly, if not all, remakes, sequels, prequels, book adaptations, and comic/videogame adaptations. And while they aren’t all bad movies, I find myself missing the films that were low-tech projects which succeeded because of strong writing and acting, or even an innovative hook. I’m selecting 10 films from *2014 that I felt succeeded because they were were built on the basic components of a good film, and had great stories to tell. They aren’t particularly flashy, but they made me care about the people on screen, which is really all I want. In no particular order, these are my sleeper picks for the year. Some get panned by critics, yet are loved by viewers, and vice versa. You may not like all of them, but I believe you’ll find at least a couple of gems here that you may recommend to friends. *These films are not selected based on their theatrical release date, but on the time frame in which we offered them new in our store. If you have to pigeonhole a movie like Her, it would likely go into the Sci-Fi category. In many ways, the film is a throwback to old Sci-Fi movies which represented more of a catch-all of society’s “big ideas”. It begins with a premise, that of a man developing a relationship with and falling in love with a female A.I. (artificial intelligence), and explores some questions about the nature of love and human relationships. In much the same way Lars and The Real Girl did a few years ago, Her’s writers ask some tough questions about society and the way we connect in the digital age. Viewers may find themselves looking in the mirror, and not liking the face that stares back at them. The best works of art always look for ways to explore the human experience and to give it form and substance. Films as good as Her find unique ways to dissect the most universal themes in a way that makes them relevant in the context of our own trends and cultural norms. It may end up being one of the defining films of this decade. Pride is based on the true story of a group of members from London’s gay and lesbian community who chose to throw their support behind a Welsh mining town during the 1984 British mineworkers strike. It’s a film that explores an obscure bit of modern history, with themes of tolerance that still cause a ripple today, thirty years later. The premise is one that, not treated properly, had the potential to turn into a parade of cringe-inducing jokes about effeminate men mixing it up with burly miners. Pride avoids these cliches mostly by creating characters that audiences can relate to; people who have their own strengths and weaknesses rather than just acting like cardboard cutouts. At times I couldn’t help feeling the content was sugar coated a bit too much, but for the most part I found the film to be a convincing glimpse into the potential human beings have to lay down their prejudices when facing a common source of oppression. 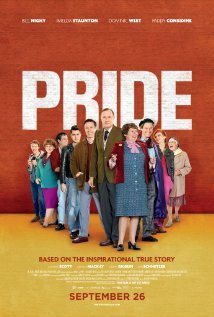 Featuring excellent performances by Bill Nighy and Imelda Staunton, Pride is a near perfect mix of comedy and drama that is sure to win over a lot of fans who may not have even heard of the movie. If you watch it on DVD, be sure to take in the special feature documentary on the actual people involved. It’s a great supplement to the film. 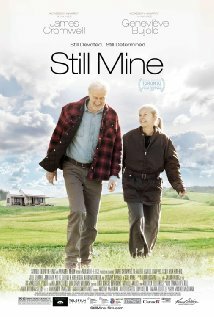 Still Mine is a Canadian film that will appeal to just about anyone who has ever had to endure Kafkaesque levels of absurdity when it comes to government bureaucracy. Based on the true story of Craig Morrison, an elderly carpenter from St. Martin’s, New Brunswick, whose wife Irene is suffering from the beginning stages of Alzheimer’s disease. The couple live in the same run-down house they’ve spent most of their lives in, and Morrison decides he is finally going to fulfill one final wish for his ailing wife: to build her a dream home overlooking the water. When he attempts to do this without jumping through all the legal hoops set down by the government, regarding permits and licences, he wages an escalating war with low level civil servants. At this point you may be yawning just from the premise of the film, assuming it’s has all the entertainment value of an old CBC “Hinterland” video. You’d be wrong. James Cromwell, playing Craig Morrison, elevates the film with his portrayal of a man nearing the end of his life, haunted by regrets and wrong turns. His struggle to bring one last bit of joy to the woman he loves, as she fades away in front of him, is heartbreaking. Canadians should be proud that, in a year when the most talked about movies are mostly theatrical theme park rides, our country put out one of the most moving character driven films in years. 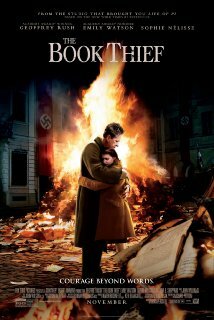 Despite my opening rant against movies based on existing properties, I’m including The Book Thief, based on the novel by Markus Zusak, in my list anyway due mainly to the strength of the film. It is the story of a childless German couple who shelter a young Jewish girl in the early days of the Second World War. As audiences show increasing preference for escapism, movies like this often get ignored, which is a shame. The Holocaust was one of the most shameful periods in human history, and these stories need to be revisited regularly in films and books. There were mixed reactions to the film after it made some major structural departures from the book, which used the personified figure of Death as narrator. The film downplays Death as a central figure in the story mostly to accommodate differences in the two mediums. Fans were highly critical of this creative decision, when viewed as an isolated work, it is a powerful story. The performances of Geoffrey Rush and Emily Watson as Hans and Rosa Huberman are the driving force behind the movie, one representing the moral center and the other a kind of shifting moral compass. Watson’s character, in particular, makes one of the most complex transformations in recent memory, and I believe she should have received an Oscar nomination for the role. Even though it can be a heartbreaking film, it’s one I think everyone should watch. 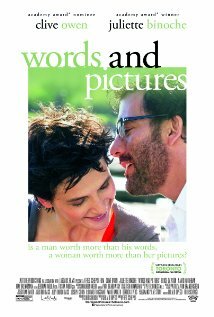 Words & Pictures was a movie that sat on my shelves for quite some time before I had an opportunity to take it in, after a customer told me I should watch it, saying they were sure it would be one of my picks. They were correct. In the film, Clive Owen plays an alcoholic English teacher at a prep school, and is struggling with the regrets of being a once promising writer who is drifting into obsolescence. Juliette Binoche plays a former world-reknowned artist who has taken a job teaching art at the same school after her career is sidetracked by rheumatoid arthritis. These two characters dislike one another instantly, and what begins as a friendly debate over which is a more important form of human expression, literature or art (words or pictures), escalates to a kind of war between students of both disciplines. As the two character face both their demons and limitations, their disengaged students finally have a reason to search for meaning in what they are being taught, and transform the two main characters in ways they never expected. Teachers and ex-teachers, especially, will find this to be a moving film. 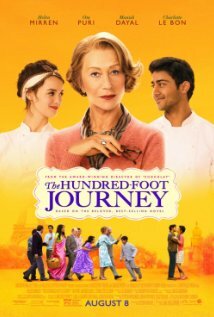 Lasse Halstrom’s latest film, The Hundred-Foot Journey, plays out almost like a fable based on the clash of cultures. When a fire destroys their business in India, the Kadam family moves to mainland Europe, where an act of fate (failing brakes) lands them in a small French village. In an attempt to put down roots, the family opens their own restaurant across the road from another run by Madame Mallory, played by Helen Mirren. This is a film that quietly explores the nature of prejudice, and the ways in which it can be driven by feelings of competition. It also tells a nice little love story involving Kadam’s eldest son, Hassan, and one of the employees of Madame Mallory. In some ways, it is an odd spin on the themes of Romeo and Juliet, but without all the, y’know, suicide. Although it can be a bit saccharine due to some Bollywood influence, the film is a nice bit of escapist comedy/drama for when you’re in the mood to just kick back with something not too challenging. It’s the kind of movie that will also have special appeal to foodies, who will revel in all the scenes involving exotic cooking. 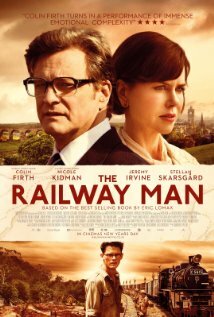 Colin Firth plays Eric Lomax, an aging veteran of the Second World War who was a British army engineer in Hong Kong when it fell to the Japanese. Now haunted by memories of his treatment while in captivity, Lomax finds himself with an opportunity to face one of the men who tortured him and his fellow soldiers. But what begins as a seemingly routine “revenge” movie abruptly veers in a different direction, posing subtle questions about the personal cost of clinging to hatred. Firth, who is more well known for his roles in comedy films, delivers an incredible performance as Lomax. The best war films always seem to rise above the chaos of grand events, letting audiences see the human side of conflict, especially from the point of view of both sides. War is never is simple as good vs evil, and this film reminds audiences that the best parts of humanity sometimes emerge during the most unlikely circumstances. For fans of history and war films, this is one not to be missed. Against my better judgement, I’m including a Disney film on my list. This one caught me by surprise, and if not for the fact that I’m a sucker for underdog sports movies, I doubt I would have given it a second glance. I also like Jon Hamm as an actor, and wondered what he might bring to a movie like this. Turns out, he was an example of near perfect casting. Letting Disney handle a story that requires racial sensitivity and an awareness of cultures outside of American borders seems like a bad idea on paper, but the studio suits must have let this film get made without interference. 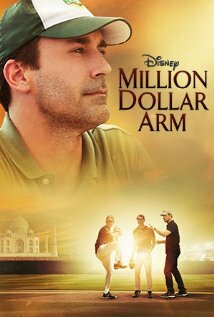 Million Dollar Arm is based on the true story of Rinku Singh and Dinesh Patel, two “nobodies” from India who are recruited as part of a publicity stunt in 2008 to find major league baseball players using a reality show format. In the hands of lesser writers and directors, this could have been an embarrassing parade of jokes at the expense of another culture. But I was amazed at the level of maturity this story took on, paying both respect and, at times, reverence, to the way of life both of these young men came from. Disney won’t let their films get too edgy, so some elements of the story feel a bit too sugary in order to make it family friendly, but the creative crew was not afraid to inject some biting criticism of western values. 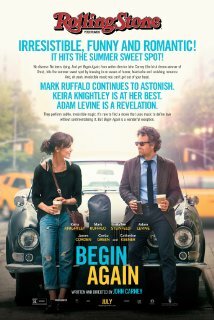 Although Begin Again comes off a bit rough around the edges, it’s a great little character-driven movie that will appeal to anyone who believes there hasn’t been a good music album made in the last two decades. Mark Ruffalo is well cast as a burned out record producer who is deeply embittered over the transformation of modern music into a commodity, then discovers an unpolished songwriter in Keira Knightly. Her performance is a bit more uneven, especially during the musical performances, but she fares well enough to keep the flick on track. One of the film’s strengths is the way it avoids cliches that were just screaming to be exploited. Even the ending resolves itself in ways that were unexpected. This a nice little sleeper for music fans. 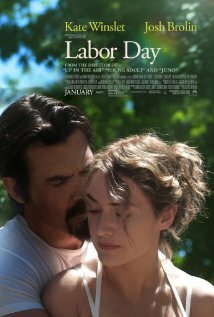 Labor Day is a story about a depressed single mother (Kate Winslet) living with her son Henry on an isolated country farmstead who unwittingly ends up being held captive by an escaped convict played by Josh Brolin. In the days and weeks that follow, the two strangers begin to feel a strong attraction to each other. Although it was based on a novel, usually a sign of strong source material, I had my doubts that they could make what amounts to a Stockholm Syndrome plot work. But the two actors surprised me with believable performances, creating on-screen tension and passion. And while the story premise is one that has some mileage on it, I thought that it was kept fresh enough to deserve a look. Labor Day was the last movie to make my cut this year, and may not be as strong as some of the other picks, but I do feel it’s a decent film.